Plants are placed in net pots that are held in their position above a mist of a nutrient solution and water. The roots receive this mist directly, which provides all of their nutrient and oxygen needs. Whether fully cultivating crops or developing cuttings, a pH level of between 5.8 and 6.2 is ideal for plants to develop quicker and healthily. Should you look for absolute perfection in aeroponics, an exact pH level of 6.0 or as close as possible is advised. In terms of environment, a temperature of 21℃ and a 70% humidity are perfect for cuttings. For both cuttings and fully grown plants, a temperature of 20℃ is ideal for the nutrient solution in the reservoir. Should the temperature be higher, the levels of dissolved oxygen will decrease, and lower temperatures can slow plant growth and shock them. What are the Benefits and Potential Issues of Aeroponics? Speed is the main benefit of aeroponics, which is possible through the increase exposure to oxygen and nutrients. This hydroponic grow system is typically used by growers who want an extra grow per year, having healthy and strong plants. 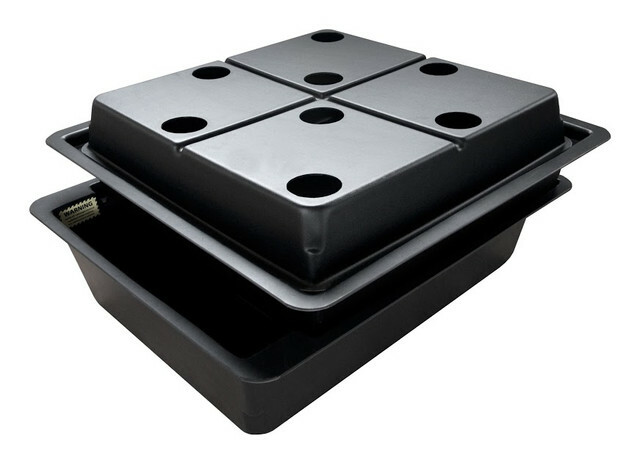 An expert aeroponics system is needed to help prevent potential issues. The Amazon Aeroponics system was designed with built-in access points for growers’ convenience, allowing a quick and easy check of the sprayers. The sprayers can become blocked due to the plant roots growing so quickly, which prevents plants from receiving the nutrients they need. Failing to frequently check the sprayers to remove roots can cause blockages, and it’s vital to have a system that helps to reduce the likelihood of this situation occurring. Make sure to top up tanks with half-strength nutrient solution, check the electrical conductivity, and continue to adjust nutrients as required. Adjust pH level and change the nutrient solution every two to three weeks so that both the pH level and the electrical conductivity are balanced. Leave the system’s pump 24/7, as the roots of the plants require constant access to both oxygen and the nutrient solution. You can transplant young plants grown in one-inch rockwool cubes or other methods, but they must be root bound beforehand. Should your plants be under lights, the rate at which they absorb water and take up nutrients is much faster, with the electrical conductivity of the nutrient solution rising over time. At Nutriculture, we have a wide range of hydroponic growing solutions for growers, ensuring that plants grow healthy and strong. Simply get in touch with our team to know more - we’re always happy to help and to answer any query you may have.